This is a hands-on workshop. You must bring your own Windows 10 laptop with Visual Studio 2015 Community (or higher edition) installed. The Internet of Things (IoT) is the latest in an ever growing realm of technology that modern developers have to know about. To get into the IoT you have to learn about small form-factor and low-energy devices that interact with the physical world, and you have to know the Cloud services that will interface with these devices, for both data ingestion and command and control. In this full-day workshop you will learn both sides of the IoT. You will begin by diving into the world of Things by building applications that run on the Raspberry Pi 2, running Windows 10 IoT Core – a small form-factor variant of the popular Windows 10 family. Once you have mastered the world of Windows 10 IoT Core, you will learn how to connect the Thing you built to Azure IoT Hubs – a new Azure service designed to support millions of devices sending millions of messages. You will build a data ingestion pipeline, including visualizations of your IoT data that enable you to gain insight into your solution, and a command capability that enables you to control your device remotely. By the end of the workshop you will have built a complete Windows 10 and Azure IoT solution – and you may keep the hardware kit to continue your adventure in IoT. Let me know what you think (we will publish this workshop on ThingLabs.io so that anyone can go through it as a self-directed workshop). Post your comments – I’d love to hear what you think. It felt a bit like Christmas on St. Patricks’s Day! That is because the first batch of the new ThingLabs IoT Workshop Kits arrived today. We will have four (4) new IoT Workshop Kit configurations, in addition to the two (this and this) that we already have. This will allow us to create workshops for a variety of hardware and operating-systems, including Linux, Windows 10 IoT Core and Real-Time Operating Systems (RTOS). Today we received the Intel Edison and BeagleBone Green kits based on the Grove sensors. The ThingLabs Tinkerers are busy working on new workshops for these kits and more (see below). We have a full-day workshop on April 18, 2016 at the Walt Disney World Swan for the DevIntersection conference (register with discount code SEVEN to save $50). 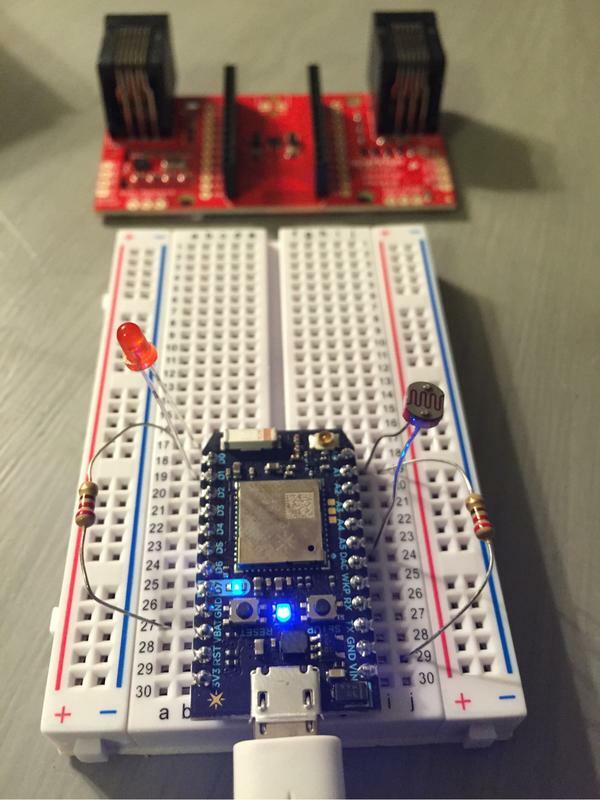 Check out the ‘Windows 10 IoT – Connected Nightlight Workshop‘ that uses a Raspberry Pi2 with a breadboard, LED and a photo-resistor instead of the GrovePi+ kit. A few weeks ago I had the opportunity to spend a few minutes with my friend, Richard Campbell (of DotNetRocks) talking about the Internet of Things at the Channel 9 Studios. You can watch the video here (it is less than 10-minutes). This show is part of a countdown show to DevIntersection2016 in Orlando, FL. My team and I will be running a ThingLabs IoT Workshop on Monday, April 18th (if you want to attend, register with discount code SEVEN to save $50 plus a Raspberry Pi 2 kit complete with lots of sensors, and some cool add-ons from the conference, such as a Microsoft Band 2, Surface 3 or XBox One depending on how many workshops you attend). The Internet of Things (IoT) is the latest in an ever growing realm of technology that modern developers have to know about. To get into the IoT you have to learn about small form-factor and low-energy devices that interact with the physical world, and you have to know the Cloud services that will interface with these devices, for both data ingestion and command and control. In this full-day workshop you will learn both sides of the IoT. You will begin by diving into the world of Things by building applications that run on the Raspberry Pi 2, running Windows 10 IoT Core – a small form-factor variant of the popular Windows 10 family. 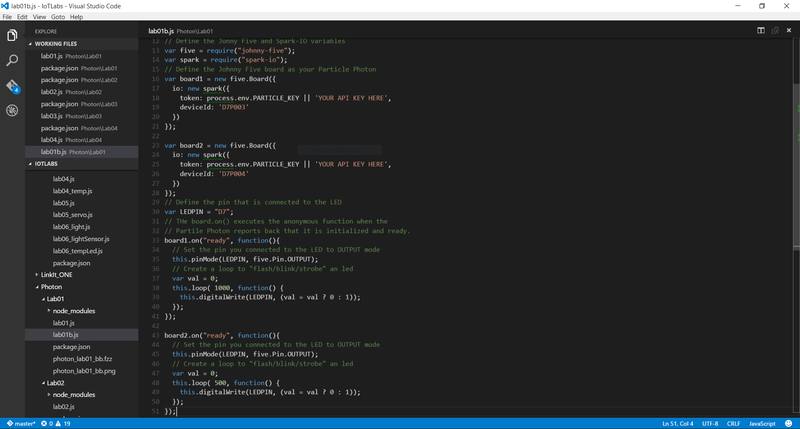 Once you have mastered the world of Windows 10 IoT Core, you will learn how to connect the Thing you built to Azure IoT Hubs – a new Azure service designed to support millions of devices sending millions of messages. You will build an data ingestion pipeline, including visualizations of your IoT data that enable you to gain insight into your solution, and a command capability that enables you to control your device remotely. By the end of the workshop you will have built a complete Windows and Azure IoT solution – and you may keep the hardware kit to continue your adventure in IoT. Register now for the ThingLabs.io Hands-on Workshop at DEVintersection in Orlando, Florida. The Internet of Things (IoT) is the latest in an ever growing realm of technology that modern developers have to know about. To get into the IoT you have to learn about small form-factor and low-energy devices that interact with the physical world, and you have to know the Cloud services that will interface with these devices, for both data ingestion and command and control. In this full-day workshop you will learn both sides of the IoT. You will begin by diving into the world of Things by building applications that run on the Raspberry Pi 2, running Windows 10 IoT Core – a small form-factor variant of the popular Windows 10 family. Once you have mastered the wold of Windows 10 IoT Core, you will learn how to connect the Thing you built to Azure IoT Hubs – a new Azure service designed to support millions of devices sending millions of messages. You will build an data ingestion pipeline, including visualizations of your IoT data that enable you to gain insight into your solution, and a command capability that enables you to control your device remotely. By the end of the workshop you will have built a complete Windows and Azure IoT solution – and you may keep the hardware kit to continue your adventure in IoT. Richard Campbell from DEVintersection chats with Doug Seven about his IoT workshops, engaging with developers to see just how small computers can be made now, and how you can create a network of ultra-small devices to work together to provide a huge amount of data about the world around you. Using development tools, languages and platforms you know today, you too can get building the Internet of Things! Doug will be leading workshops at DEVintersection in Amsterdam Oct 14-16 and also in Las Vegas at the MGM Grand Oct 26-29. Sign up today! The TECHintersection event is coming up on September 14th through the 17th. I have been helping with the planning, specifically around the Internet of Things (IoT) content. As we lead up to the event I want to familiarize you with some of the great speakers we will have. This is going to be a great event and you definitely don’t want to miss it (you can register here). I met Zach Supalla at CES in January – my good friend Stephen Forte invited me to breakfast with Zach and Dan Jamieson, mostly just for social time (for the record this is one of the things I love about Forte – he is constantly connecting the people he likes with no agenda of his own). Over breakfast Zach and Dan told me about Particle (called Spark back then) and how they had built up their company, participated in the HAXLR8R hardware accelerator, got funded and were growing like crazy. They gave me one of their Spark Core devices and in exchange I bought them some eggs. After playing with the Spark Core a bit, and getting some of my friends hooked on it, I was sold. I love Particle – they make great, inventive products. I am really glad that we (Microsoft) are partnering with Particle the way we are (I smell some IoT Workshops with the Particle Photon in the future). Zach Supalla is an entrepreneur, a Maker, and a designer. He is the founder and CEO of Spark (ed. note: now called Particle), a start-up that’s making it easier to build internet-connected hardware. Zach juggles hardware design, front-end software development, and leading his team through the trials and tribulations of a hardware start-up. Zach is a graduate of HAXLR8R, the only incubator for hardware start-ups that will teach you to order bubble tea in perfect Mandarin. He also has an MBA from Kellogg School of Management and an MEM (Masters in Engineering Management) from McCormick School of Engineering at Northwestern. Before Spark, Zach worked as a management consultant with McKinsey & Company, advising Fortune 500 companies on strategy, operations, and product development. Ever wanted a button in your home or office that would call an Uber for you? Or text your wife to let her know that you’re coming home late for work? Or order you a pizza? Sit down with the team from Particle to build your own “Internet Button” that can be hooked up to any API to take action when the button is pressed. While the world is being filled with great prototyping tools like Arduino, Raspberry Pi, and Particle’s Photon and Core, the road from a prototype to a product manufactured at scale is perilous, and while there are plenty of resources to help, they can be harder to find. Join Zach Supalla from Particle as he talks through the process his company went through to turn the Core from a prototype to a mass manufactured product and explains how others can follow the same steps. 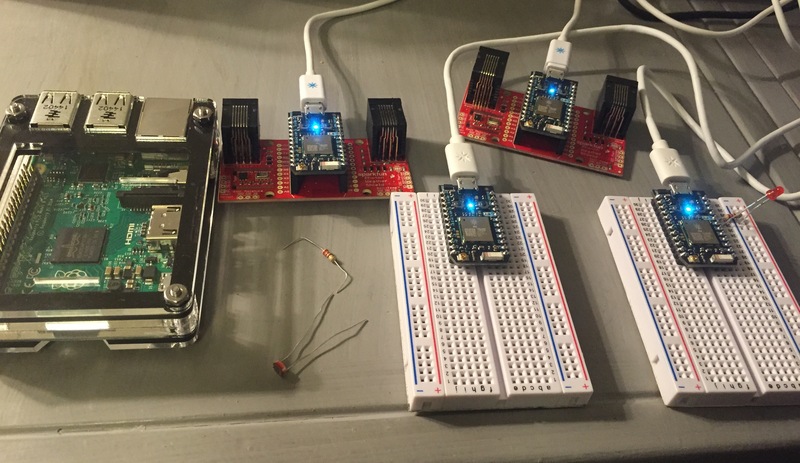 If you saw this post you know that the last IoT Workshop my team and I hosted was a blast. We are getting ready to add some new labs to ThingLabs.io in preparation for another workshop event on Monday, September 14th. If you missed the last one, you should definitely come to this one – and it’s part of a great new event (disclaimer – I have been helping with the IoT content planning). The new event is TECHintersection and it is being put together by the founders of DEVintersection, DotNetRocks, and one of the masterminds behind large scale events including Microsoft TechEd, //build and AWS re:Invent. The event has a shared focus on three topic areas that are tightly intertwined – the Internet of Things, Architecture and Security. Its looking like it is going to be a great few days spent in the city that gave birth to TED Talks – Monterey, CA. For the IoT Workshop (we are calling this one IoT Firestarter) we are planning a full day, with lots of hands-on time. We will likely be using a new board, which will result in an entirely new set of labs. In this workshop we will go from building your first hardware project to ingesting telemetry into Azure and creating data visualizations with PowerBI (of course we will still do some command/control stuff – and maybe even bring a couple robots…who knows). Throughout the conference there will be great sessions, including technical sessions from the Windows IoT and Azure IoT product teams, a few sessions from my team on how we have build IoT solutions in the real-world (including connected cars, constructions site and more), and a couple companies who have built IoT start-ups will be there to share their story, including Josh Supalla from Particle.io and a keynote by Adam Benzion, the co-founder of Hackster.io. You can get the full session list here.